Consulting Analysts work for a consulting firm or business enterprise that is headed by a senior consultant. They are also termed as the management consultant or Management Analysts of the firm. The job objectives of a business analyst consultant include gathering information, collecting data, analyzing and deliver streamlined recommendations that would boost the profit margin of the company. The primary role of a Business Analyst Consultant is to plan studies, detect the issues or problems of the firm and resolve it. 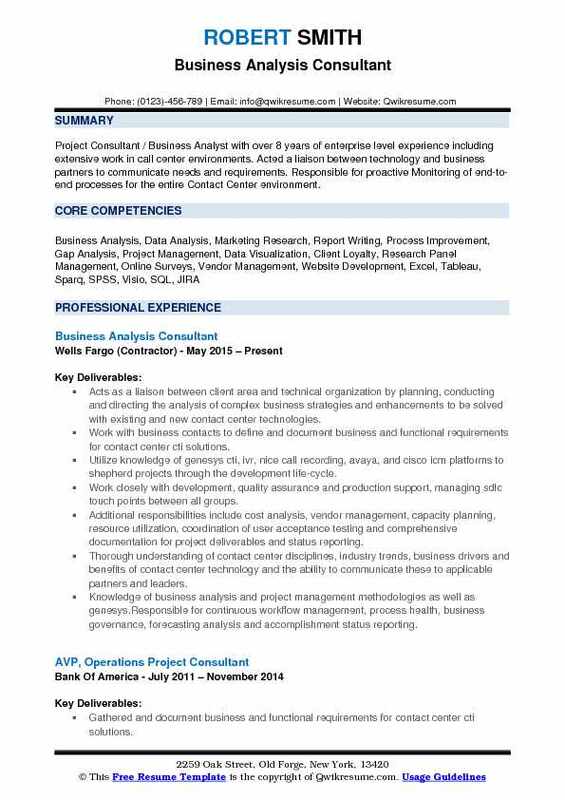 A Well crafted Business Analyst Consultant Resume Sample will land a quick entry into this position in big companies. 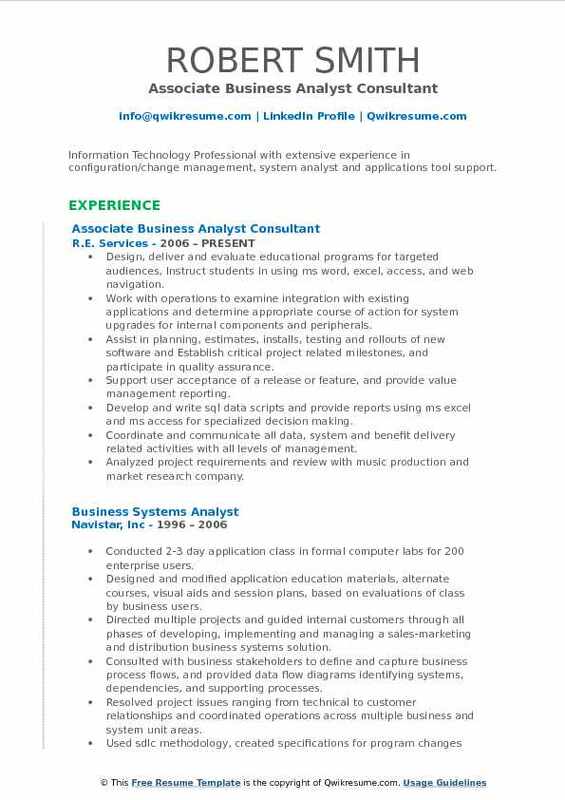 The hiring managers look for a Bachelors degree for the post of a Consulting Analyst. However Master of Business Administration with a handful of experience holders can improve their job prospects hugely. Summary : 10.5 years of Functional Consulting experience in BFSI domain. Well versed with SDLC methods like Agile and waterfall Experienced in requirements gathering through JAD sessions, Group Discussions and Use Cases. Experienced with creating and modifying Process flow diagrams and Use Case Diagrams using MS Visio. Excellent communication, analytical, interpersonal, and presentation skills; highly adept at handling the expectations of Multiple Stakeholders. 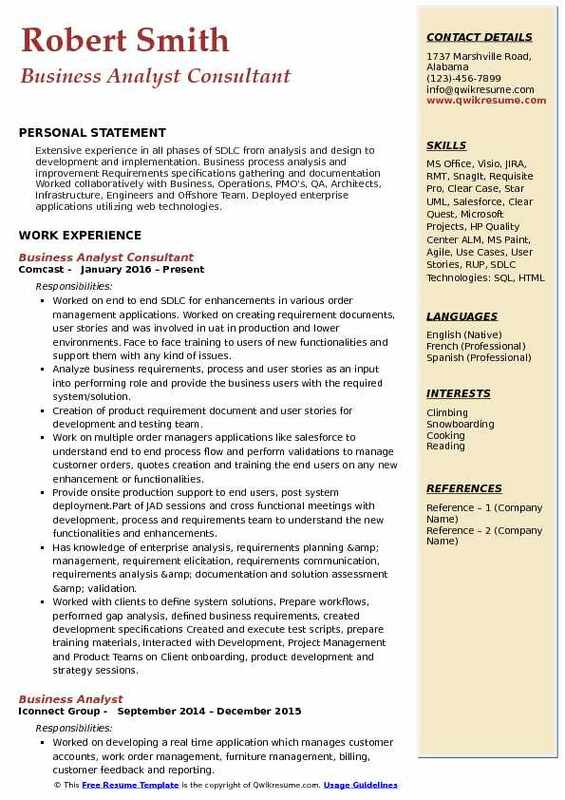 Skills : Visio, SDLC, Waterfall, Agile, SQL, Microsoft Office, Process Improvement, Customer Relationship Management, Vendor Relations, Business Analysis, Requirements Management, System Testing. Development of new functionalities services.Applications in the area of reporting, financial accounting and reconciliation are developed. The team caters to the new development request of the business accessing the applications in the area of financial accounting and reporting, reconciliation. Creating business process flows, use cases, information modeling, data mapping and gathering business requirements. Meeting with various business stakeholders to understand requirements, prepared story boards and reviewed with business to make sure requirements correctly articulated. Partner with key business and technology stakeholders to define work deliverables, and project task list. Involved in reviewing and approving the high level and low-level design documents. Created data point gap analysis documents, meeting with system users, business and key people from cross functional applications. Conducted daily scrum meetings, stand up a meeting, retrospective meetings, back log review and scrub meeting, iteration planning meeting. Participated in various release testing meetings and communicated project status and raised any issues to higher management. Provide functional support for the ongoing project to resolve and rectify the pre, post development issues, queries, and defects logged from business and testing QA. 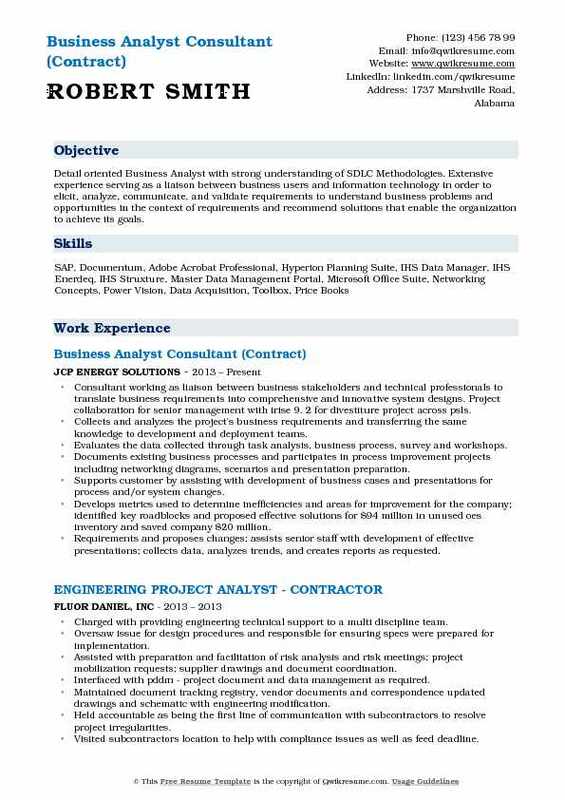 Objective : Experienced Business Analyst Professional who is proficient in requirements gathering and specifications writing. Strong analysis/design capabilities with excellent problem-solving skills. Strategic Project Management with versatile resources planning and estimates. Familiar with Multi-tiers/Multi-platforms Technology. Collaborate with business users, product owners, program managers, and business partners to gather and identify requirements for web/portal/mobile applications, and further define and document requirements. Lead requirements discussion/review sessions with users, vendors, and the partners to further refine/scope requirements. Analyze requirements and the associated domains/systems/applications to further translate business requirements into functional requirements and high-level design. Deliver use cases, process flow, screen definition/screen mockups and technical/system requirements. Create prototype for product visualization by using Jing, Microsoft snipping tool, windows screenshot. Review business/functional requirements/user stories and technical design with vendor and project teams to ensure all business requirements are fully covered in the technical design ready for development. Provide full life cycle support and enable end-to-end workflow process for project implementation. Investigate issues, identify opportunities for improvement on process/workflow/procedures, make suggestions on strategic planning/solution design to improve system usability/ui experiences. Summary : Strategic thinker with comprehensive experience in project management, implementation of ERP and Business Intelligence tools (BI). Highly organized leader able to manage cross functional teams and execute programs to meet organizational needs, looking to secure a position in project management and implementation of ERP software for a leading technology organization. Coordinate all phases for sage x3 and sage 500 of the project lifecycle, including planning, design, development, testing, implementation, training and maintenance for projects generating as much as $1m in revenue. Manage, motivate and supervise project team members and contractors, and influence them to take positive action and accountability for their assigned work. Deliver high quality billable product-related services including application upgrades, installations, data migration, and integration deployment to clients and business partners. Collaborate with project managers to analyze, define, and document system requirements used to manage the development of workflows, logical processes, data migration plans and outputs. Manage and perform training for clients on core application and standard operating procedures for erp applications and bi such as:. Design data import templates, provide data migration training to clients and other consultants, perform data migration. Designed and implemented a training program for the financial report writer application renovofyi for all clients using the application. Summary : Information Technology Professional with extensive experience in configuration/change management, system analyst and applications tool support. Design, deliver and evaluate educational programs for targeted audiences, Instruct students in using ms word, excel, access, and web navigation. Work with operations to examine integration with existing applications and determine appropriate course of action for system upgrades for internal components and peripherals. Assist in planning, estimates, installs, testing and rollouts of new software and Establish critical project related milestones, and participate in quality assurance. Support user acceptance of a release or feature, and provide value management reporting. Develop and write sql data scripts and provide reports using ms excel and ms access for specialized decision making. Coordinate and communicate all data, system and benefit delivery related activities with all levels of management. Analyzed project requirements and review with music production and market research company. Created project management template to resolve 30 action items for release of 10 projects to eliminate redundancy of processes. 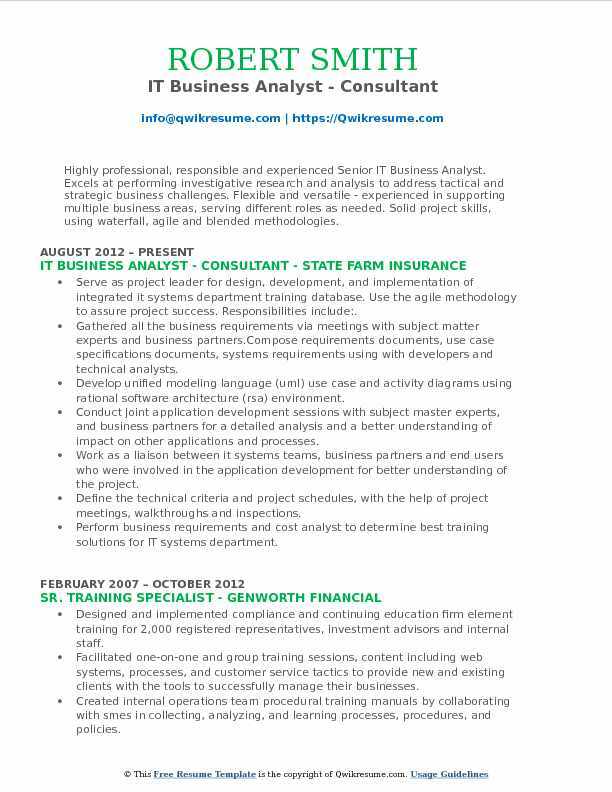 Summary : Results-oriented, Sr. Level Business Analyst with 15+ years of experience in Information Technology. 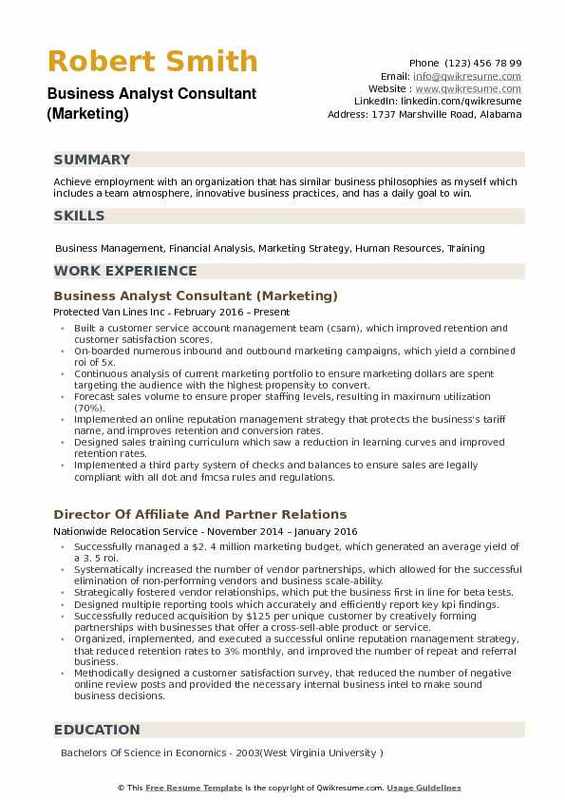 Self-starter with demonstrated analytical, creative, and problem-solving skills in high growth business environments. Recognized as a team player with a reputation for building relationships with project teams, business partners, and senior management. Provided analysis on client projects, including software implementations for insurance (consumer/personal), annuity, and utility clients. Worked with business partners and project teams to gather, define, and document requirements in order to make system enhancements for the purpose of increasing revenue. 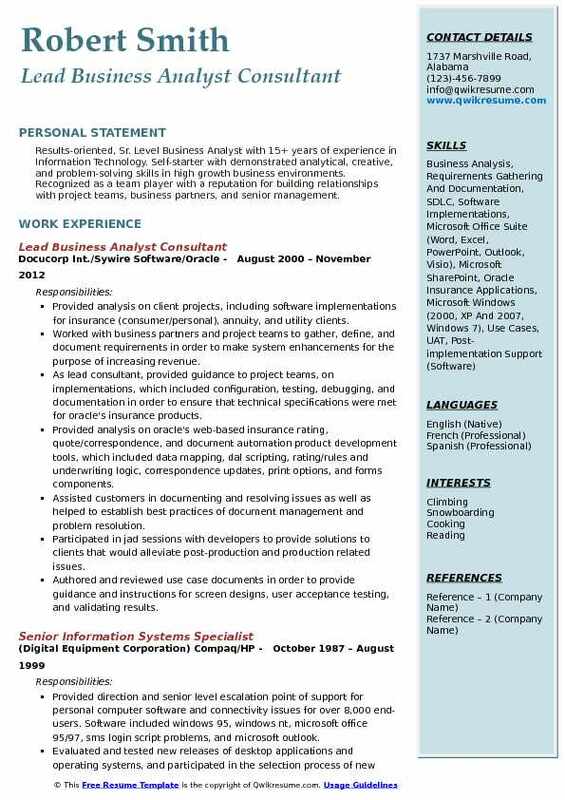 As lead consultant, provided guidance to project teams, on implementations, which included configuration, testing, debugging, and documentation in order to ensure that technical specifications were met for oracle's insurance products. Provided analysis on oracle's web-based insurance rating, quote/correspondence, and document automation product development tools, which included data mapping, dal scripting, rating/rules and underwriting logic, correspondence updates, print options, and forms components. Assisted customers in documenting and resolving issues as well as helped to establish best practices of document management and problem resolution. Participated in jad sessions with developers to provide solutions to clients that would alleviate post-production and production related issues. Authored and reviewed use case documents in order to provide guidance and instructions for screen designs, user acceptance testing, and validating results. 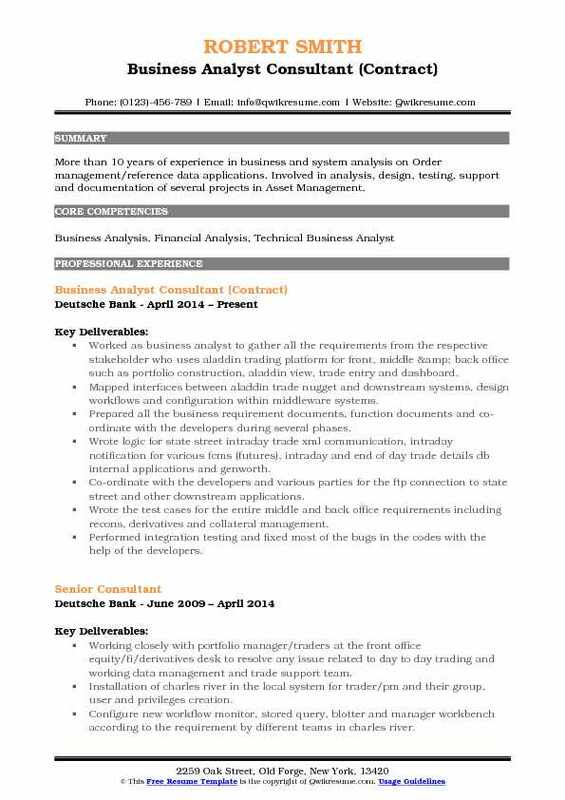 Summary : Detail oriented Business Analyst with strong understanding of SDLC Methodologies. 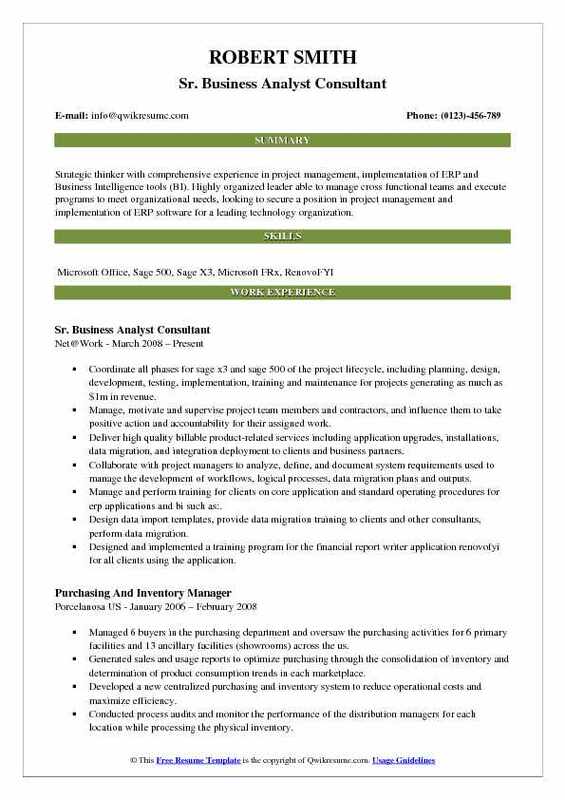 Extensive experience serving as a liaison between business users and information technology in order to elicit, analyze, communicate, and validate requirements to understand business problems and opportunities in the context of requirements and recommend solutions that enable the organization to achieve its goals. Consultant working as liaison between business stakeholders and technical professionals to translate business requirements into comprehensive and innovative system designs. Project collaboration for senior management with irise 9. 2 for divestiture project across psls. Collects and analyzes the project's business requirements and transferring the same knowledge to development and deployment teams. Evaluates the data collected through task analysis, business process, survey and workshops. Documents existing business processes and participates in process improvement projects including networking diagrams, scenarios and presentation preparation. Supports customer by assisting with development of business cases and presentations for process and/or system changes. Develops metrics used to determine inefficiencies and areas for improvement for the company; identified key roadblocks and proposed effective solutions for $94 million in unused oes inventory and saved company $20 million. Requirements and proposes changes; assists senior staff with development of effective presentations; collects data, analyzes trends, and creates reports as requested. 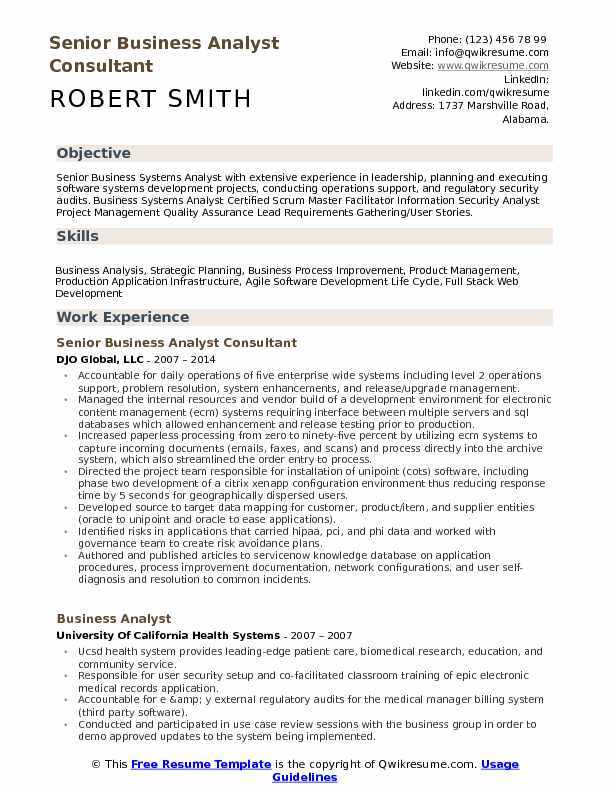 Summary : Highly professional, responsible and experienced Senior IT Business Analyst. Excels at performing investigative research and analysis to address tactical and strategic business challenges. Flexible and versatile - experienced in supporting multiple business areas, serving different roles as needed. Solid project skills, using waterfall, agile and blended methodologies. Serve as project leader for design, development, and implementation of integrated it systems department training database. Use the agile methodology to assure project success. Responsibilities include:. Gathered all the business requirements via meetings with subject matter experts and business partners.Compose requirements documents, use case specifications documents, systems requirements using with developers and technical analysts. Develop unified modeling language (uml) use case and activity diagrams using rational software architecture (rsa) environment. Conduct joint application development sessions with subject master experts, and business partners for a detailed analysis and a better understanding of impact on other applications and processes. Work as a liaison between it systems teams, business partners and end users who were involved in the application development for better understanding of the project. Define the technical criteria and project schedules, with the help of project meetings, walkthroughs and inspections. Perform business requirements and cost analyst to determine best training solutions for IT systems department. Develop, implement, and maintain interactive training site for IT systems mentors using sharepoint and sharepoint designer. Summary : More than 10 years of experience in business and system analysis on Order management/reference data applications. Involved in analysis, design, testing, support and documentation of several projects in Asset Management. Worked as business analyst to gather all the requirements from the respective stakeholder who uses aladdin trading platform for front, middle & back office such as portfolio construction, aladdin view, trade entry and dashboard. Mapped interfaces between aladdin trade nugget and downstream systems, design workflows and configuration within middleware systems. Prepared all the business requirement documents, function documents and co-ordinate with the developers during several phases. Wrote logic for state street intraday trade xml communication, intraday notification for various fcms (futures), intraday and end of day trade details db internal applications and genworth. Co-ordinate with the developers and various parties for the ftp connection to state street and other downstream applications. Wrote the test cases for the entire middle and back office requirements including recons, derivatives and collateral management. Performed integration testing and fixed most of the bugs in the codes with the help of the developers. Worked on the otc conversion at state street for both bilateral and cleared swaps such as vanilla, cds/cdx, commodity. Summary : Extensive experience in all phases of SDLC from analysis and design to development and implementation. Business process analysis and improvement Requirements specifications gathering and documentation Worked collaboratively with Business, Operations, PMO's, QA, Architects, Infrastructure, Engineers and Offshore Team. Deployed enterprise applications utilizing web technologies. Worked on end to end SDLC for enhancements in various order management applications. Worked on creating requirement documents, user stories and was involved in uat in production and lower environments. Face to face training to users of new functionalities and support them with any kind of issues. Analyze business requirements, process and user stories as an input into performing role and provide the business users with the required system/solution. Creation of product requirement document and user stories for development and testing team. Work on multiple order managers applications like salesforce to understand end to end process flow and perform validations to manage customer orders, quotes creation and training the end users on any new enhancement or functionalities. Provide onsite production support to end users, post system deployment.Part of JAD sessions and cross functional meetings with development, process and requirements team to understand the new functionalities and enhancements. Has knowledge of enterprise analysis, requirements planning & management, requirement elicitation, requirements communication, requirements analysis & documentation and solution assessment & validation. 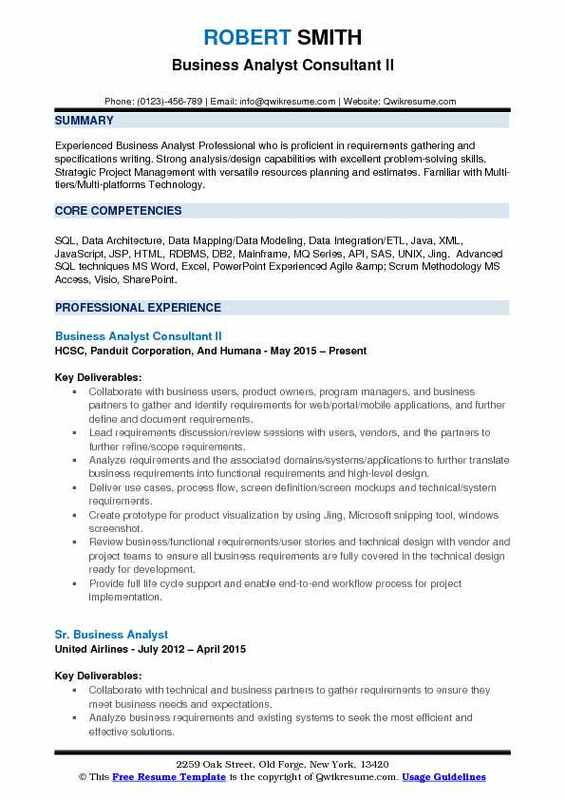 Worked with clients to define system solutions, Prepare workflows, performed gap analysis, defined business requirements, created development specifications Created and execute test scripts, prepare training materials, Interacted with Development, Project Management and Product Teams on Client onboarding, product development and strategy sessions. Summary : Achieve employment with an organization that has similar business philosophies as myself which includes a team atmosphere, innovative business practices, and has a daily goal to win. Built a customer service account management team (csam), which improved retention and customer satisfaction scores. On-boarded numerous inbound and outbound marketing campaigns, which yield a combined roi of 5x. Continuous analysis of current marketing portfolio to ensure marketing dollars are spent targeting the audience with the highest propensity to convert. Forecast sales volume to ensure proper staffing levels, resulting in maximum utilization (70%). Implemented an online reputation management strategy that protects the business's tariff name, and improves retention and conversion rates. Designed sales training curriculum which saw a reduction in learning curves and improved retention rates. Implemented a third party system of checks and balances to ensure sales are legally compliant with all dot and fmcsa rules and regulations. Developed a cross-sell and down-sell program that increases the average revenue generated per customer. Summary : Senior Business Systems Analyst with extensive experience in leadership, planning and executing software systems development projects, conducting operations support, and regulatory security audits. Business Systems Analyst Certified Scrum Master Facilitator Information Security Analyst Project Management Quality Assurance Lead Requirements Gathering/User Stories. Accountable for daily operations of five enterprise wide systems including level 2 operations support, problem resolution, system enhancements, and release/upgrade management. Managed the internal resources and vendor build of a development environment for electronic content management (ecm) systems requiring interface between multiple servers and sql databases which allowed enhancement and release testing prior to production. Increased paperless processing from zero to ninety-five percent by utilizing ecm systems to capture incoming documents (emails, faxes, and scans) and process directly into the archive system, which also streamlined the order entry to process. Directed the project team responsible for installation of unipoint (cots) software, including phase two development of a citrix xenapp configuration environment thus reducing response time by 5 seconds for geographically dispersed users. Developed source to target data mapping for customer, product/item, and supplier entities (oracle to unipoint and oracle to ease applications). Identified risks in applications that carried hipaa, pci, and phi data and worked with governance team to create risk avoidance plans. Authored and published articles to servicenow knowledge database on application procedures, process improvement documentation, network configurations, and user self-diagnosis and resolution to common incidents. 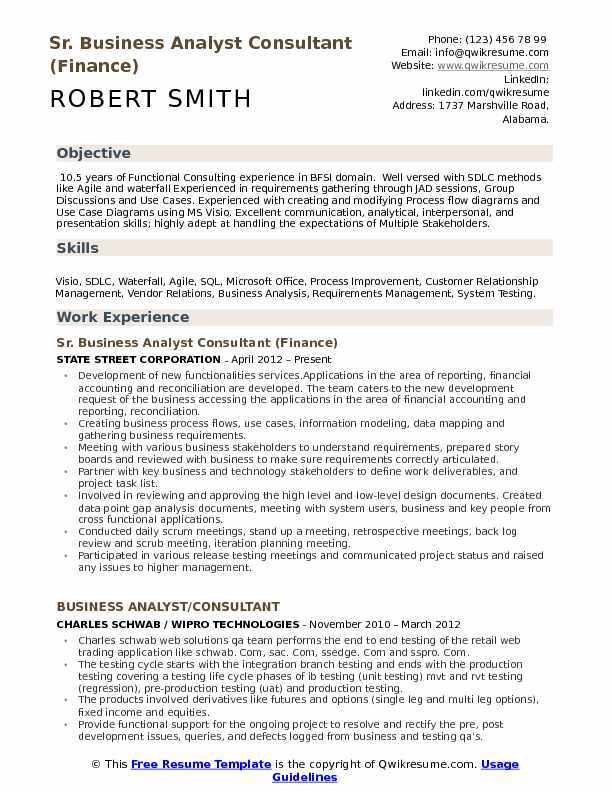 Summary : Project Consultant / Business Analyst with over 8 years of enterprise level experience including extensive work in call center environments. Acted a liaison between technology and business partners to communicate needs and requirements. Responsible for proactive Monitoring of end-to-end processes for the entire Contact Center environment. Acts as a liaison between client area and technical organization by planning, conducting and directing the analysis of complex business strategies and enhancements to be solved with existing and new contact center technologies. Work with business contacts to define and document business and functional requirements for contact center cti solutions. Utilize knowledge of genesys cti, ivr, nice call recording, avaya, and cisco icm platforms to shepherd projects through the development life-cycle. Work closely with development, quality assurance and production support, managing sdlc touch points between all groups. Additional responsibilities include cost analysis, vendor management, capacity planning, resource utilization, coordination of user acceptance testing and comprehensive documentation for project deliverables and status reporting. Thorough understanding of contact center disciplines, industry trends, business drivers and benefits of contact center technology and the ability to communicate these to applicable partners and leaders. Knowledge of business analysis and project management methodologies as well as genesys.Responsible for continuous workflow management, process health, business governance, forecasting analysis and accomplishment status reporting.